Although originally touted as a business mechanism to encourage self-employment for minorities, franchising has not lived up to initial expectations. While minority ownership in franchising in the USA has shown considerable growth over the last two decades, this has not been the case for Indigenous Australians. Indigenous business ownership in franchising remains low, even though a majority of franchisors are willing to recruit Indigenous employees and franchisees. This chapter aims to open a dialogue on the relative merits of utilising a transitional self-employment pathway for Indigenous Australians through franchising. 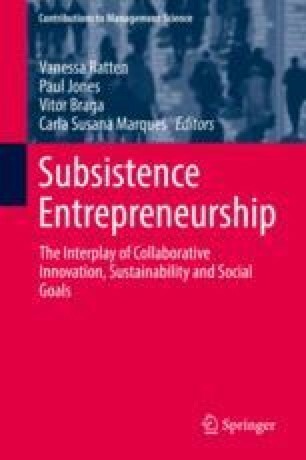 We argue that such a hybridised approach may ameliorate systemic disadvantages that many Indigenous Australians face when considering entering small business. Data was gathered from a series of interviews with Indigenous business owners, franchise (third-party) advisors, Indigenous government agency representatives, franchisors and franchising educators. Our results highlight the pressing need to better address areas of disadvantage that have been raised in prior Indigenous Entrepreneurship and small business studies. Overall, our GROWTH-pathway approach and recommended courses of action, answer calls to encourage private sector involvement in Indigenous employment, so as to repair economic and social damage caused by the introduction of a Western enterprising culture. We are grateful for financial support from the Centre for Tourism, Sport and Services Research at Griffith University for this project. We are indebted to the work of Senior Research Assistant, Dr. Ken Billot, in conducting the research and for advice from David Brudenall, former Senior Manager Strategic Engagement & Research, Indigenous Business Australia, in framing the research project and providing introductions to research participants.